Here’s a show from our archive, when Radio On was a two men venture based in an ex-DDR lightbulb factory. This show was first transmitted into inner and outer space via a secret connection to a server in the heart of Amsterdam. Radio On was a pirate station. Also in those days we hardly had any listeners. If you belong to the rest of mankind you can safely stay there. You can also listen to this show. 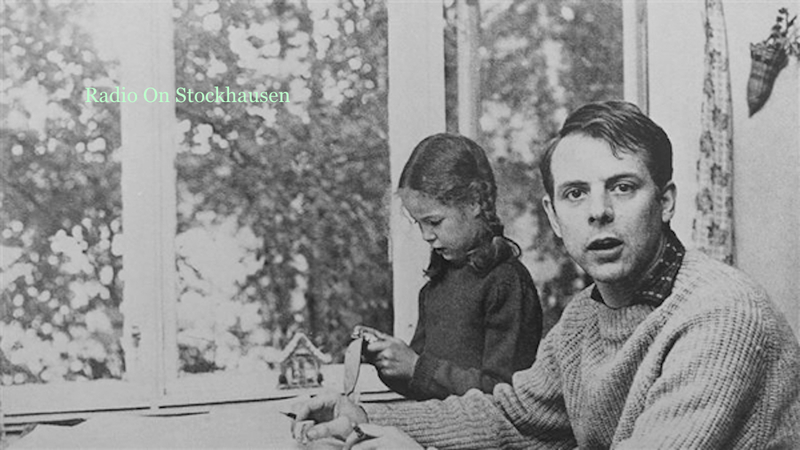 Stockhausen, Sirius, Ufo’s, space, catholics, maharishi’s, the early days of the internet, masturbation songs are among the topics in this show, but most of all Radio On Stockhausen is a thorough study on Stockhausen, the man, his work and his legacy.